Hiya guys! Oh my gosh Valentine's Day is coming up! Like I knew it was approaching, but I just looked at the calendar today and felt my heart sink. I am running out of gift-buying time. Not for Valentine's Day specifically, but rather my anniversary with Austin. Yup, I think it's like five years. Haha I'm not sure opps. I don't suppose I can give him cute polish and call it a day, eh? Hmm... Probably not if I want to make it to a six year anniversary. 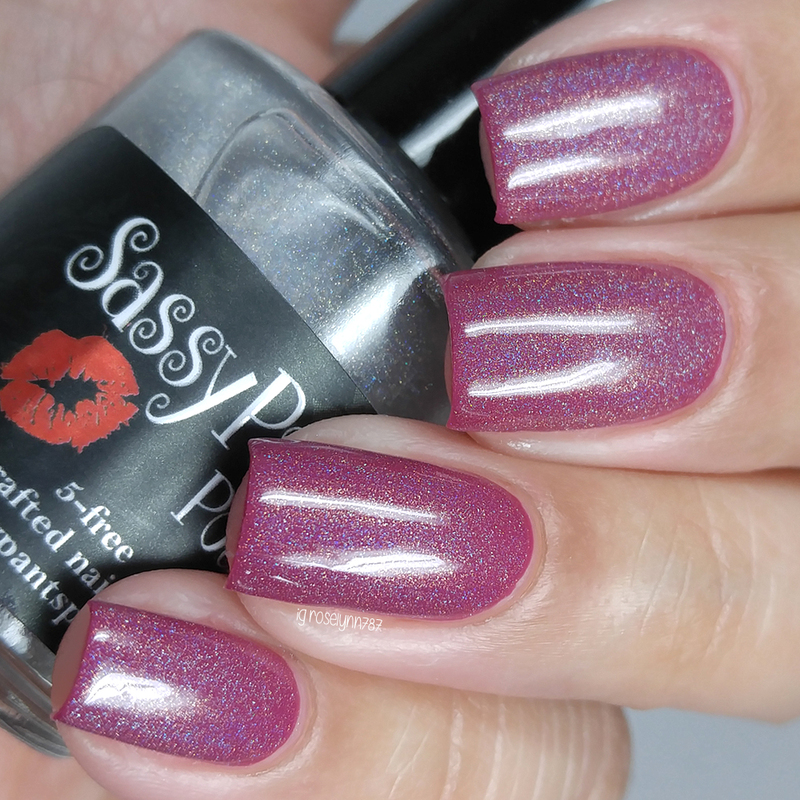 So for today I'm sharing swatches for the Sealed With A Kiss Collection by Sassy Pants, which consists six creams and two specialty toppers. So essentially there are three different looks for each shade! That's a whole lot of versatility... and a whole lot of swatch photos. Yes, that's your warning for a swatch-heavy post. Now let's get to it! 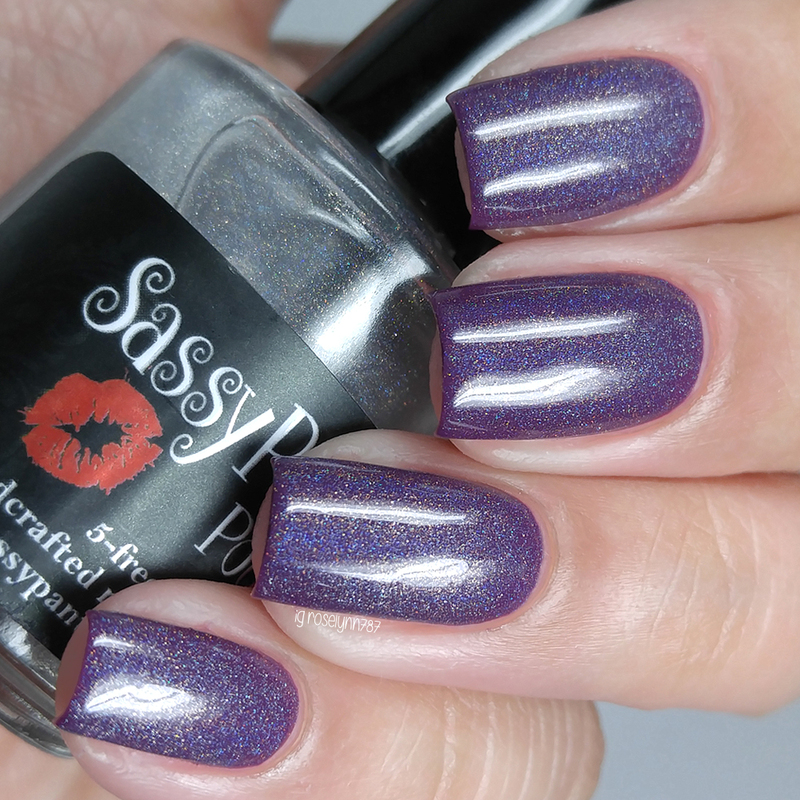 The Sealed With A Kiss Collection by Sassy Pants Polish will be releasing tomorrow Friday, January 27th, 2pm CST. Each full-size 15mL bottle retails for $10 and the mini 7.5mL bottle for $6. The two toppers are available in full-size and mini for $12 and $8 respectively. The complete full-size collection retails for $76 and the mini for $49. Free US shipping is available with any order of $50 or more. And there is now free Canada shipping with any order of $75 or more. These are the two specialty toppers featured in this collection. First we have Love Always, which is a holographic topper. Photos have been taken indoors (in a light-box) so the holo will be much more subtle than it would be in direct sunlight. And we also have Forever Yours, which is a chameleon red to purple shifty shimmer topper. For my review I'll be showing what each shade looks like paired with each topper. Every swatch has two coats of the topper over the base shade and sealed with a glossy topcoat. 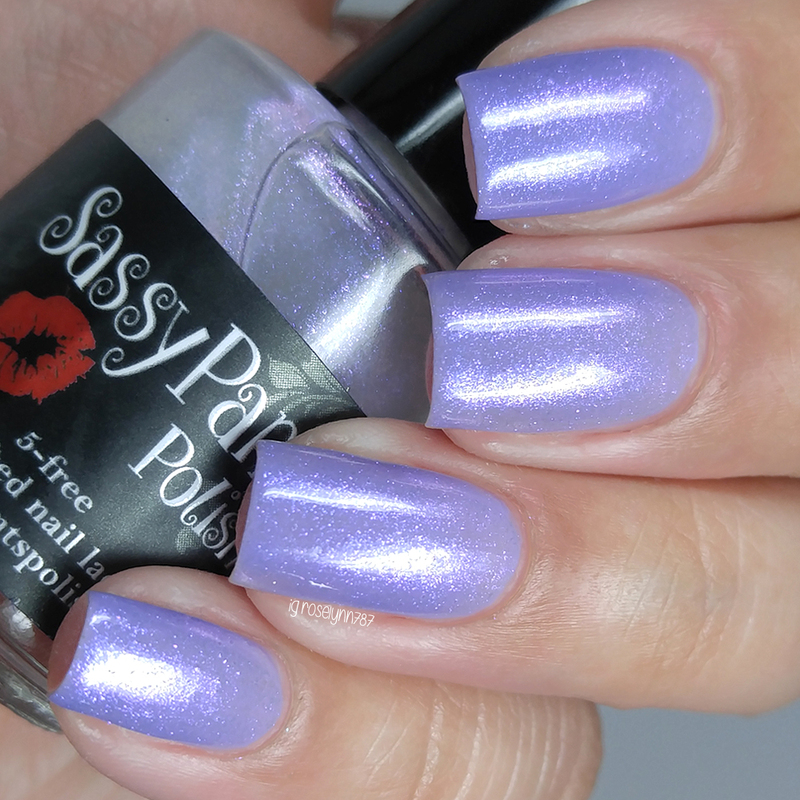 Blow a Kiss can be described as a lovely lavender cream polish. Isn't everything about this shade so lush and gorgeous? There is just something about this particular hue against my skin-tone that has me so enamored. This shade is actually the only one in this collection I prefer sans topper! The formula was very sheer during application and has a thin consistency. It applied a bit on the patchy side as well, but luckily has a nice self level factor. Compared to the rest of the collection, this one is definitely the odd one out in terms of formula. Shown in three coats and sealed with a topcoat. French Kiss can be described as a slightly muted dusty pink cream polish. The formula has an patchy initial application, but ends up self-leveling pretty well on its own. It has a smooth, easy to layer, consistency that isn't too thick or too thin. Shown in two coats and sealed with a topcoat. 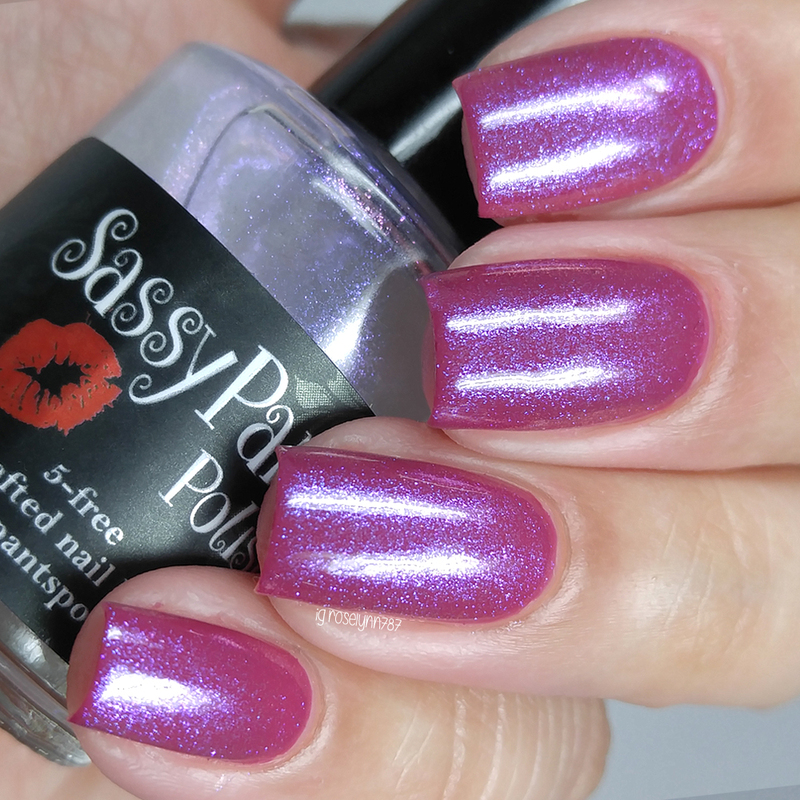 Kiss & Make Up can be described as a deep magenta cream polish. Usually the magentas in my collection lean towards the purple side, whereas this has more hints of pink. I'm very much loving both toppers on the shade, especially that shimmer. It's like an entirely different polish! The formula has a very opaque application, but not quite a one coater. Fantastic consistency as well, it nails the creamy finish. Shown in two coats and sealed with a topcoat. Kiss & Tell can be described as a vampy boysenberry cream polish. The formula has a thin consistency and a sheer application. It builds up very smoothly and is easy to work with. Shown in two coats and sealed with a topcoat. 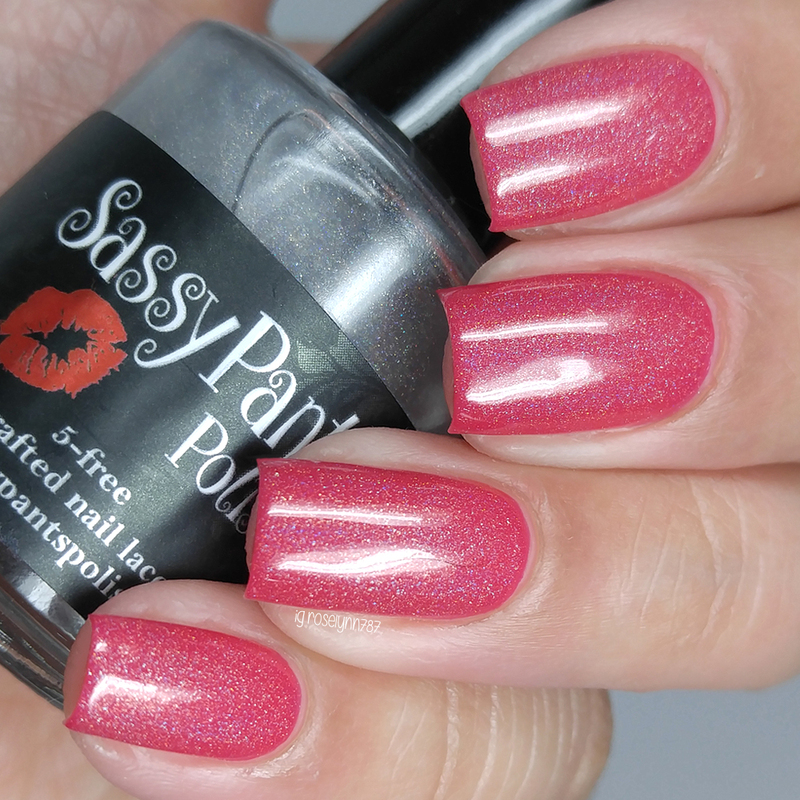 Kiss Goodbye can be described as an intense coral cream polish. There is always one polish that knocks your socks off in a collection... This is mine! 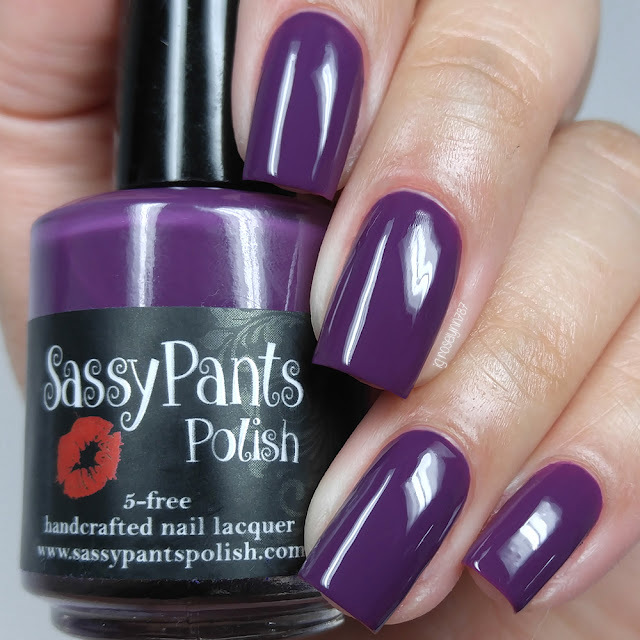 Not only is this shade gorgeous on its own, but both toppers are absolutely magical against the base. Definite must-have! The formula has a similar application and consistency to that of Kiss & Make Up. It has an opaque finish, but not quite a one coater. Shown in two coats and sealed with a topcoat. 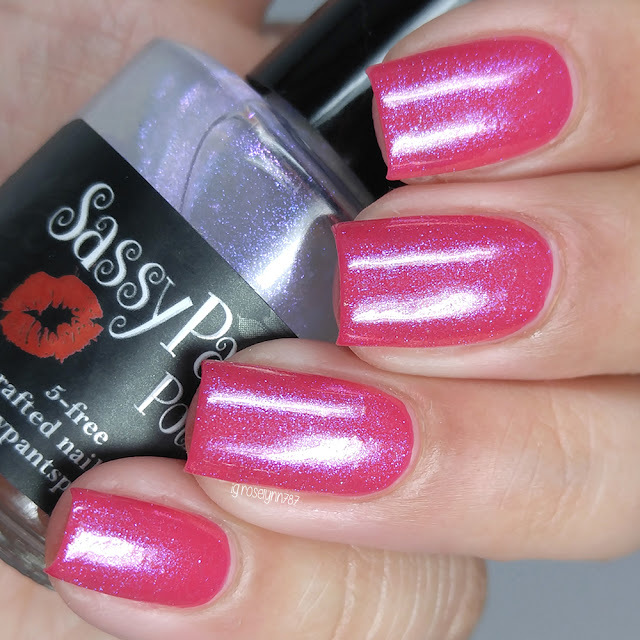 Kiss Off can be described as a bright watermelon rose cream polish. Closing off the collection we have another super vibrant shade! It's giving me all the summer vibes right now. If it wasn't for the formula trouble, this would have my must-have stamp of approval. The formula has an opaque, but thick application and consistency. Initially I thought it was manageable, but when I went in for the reswatch it wasn't layering well for me. 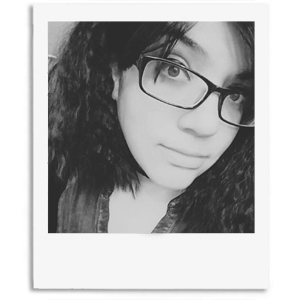 I added a bit of thinner and that helped tremendously. Shown in two coats and sealed with a topcoat. Overall this is such a fun collection to mix and match with! Especially if you're a fan of girly shades and love pink. The color, not the singer haha. Personally I'm not the biggest fan of pink shades, but this collection made me fall head over heels. I also wasn't expecting myself to love the shimmer topper as much, but it actually ended up being my favorite of the two. There are two that stand-out in this collection and are my picks for must have: Kiss & Make Up and Kiss Goodbye. 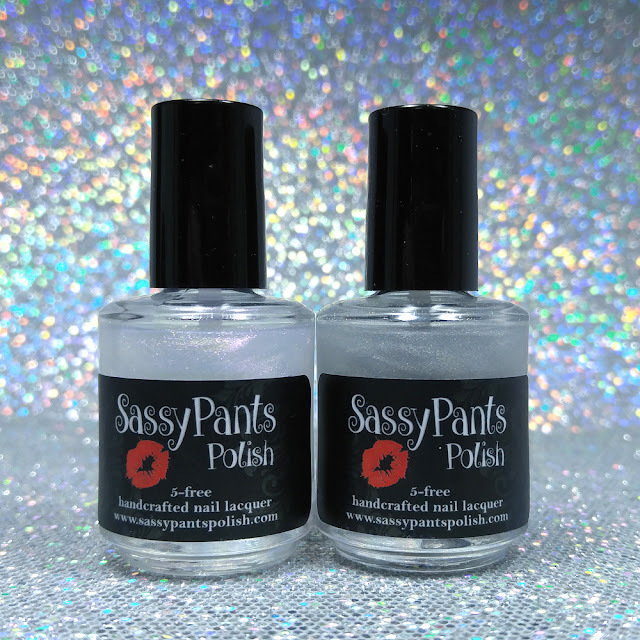 To recap, the Sealed With A Kiss Collection by Sassy Pants Polish will be releasing tomorrow Friday, January 27th, 2pm CST. Each full-size 15mL bottle retails for $10 and the mini 7.5mL bottle for $6. The two toppers are available in full-size and mini for $12 and $8 respectively. The complete full-size collection retails for $76 and the mini for $49. Stunning swatches as always! Kiss Goodbye really is fantastic isnt it! I love your swatches of this collection! They show off the colors quite well. I love your swatches and that these come with two different toppers! Your swatches are so incredibly flawless, i love it!